It never brings to a halt to astonish me how much time people squander penetrating continually to find out magic shortcuts to climb up the social ladder and fulfillment. “ Everything that’s worth it is hard”. 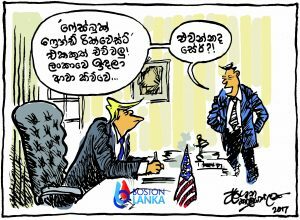 Speaking to Boston Lanka Janaka, said. It is true notion that Entrepreneurship has no bar on age. It is even surprised to envision the fact that some youngsters making it big as successful entrepreneurs. 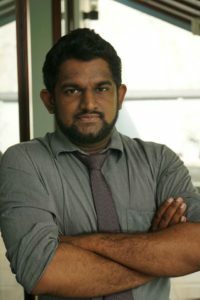 Janaka is a young man who always believes that “You can achieve anything (as long as you believe in it).”He is the proud owner of Wicky Terrazzo in the town. In an exclusive interview with Boston Lanka he had the following to say. Time is money when it comes to entrepreneurship. I am cautious of my time, and I always make sure that I do everything that I can to avoid time-wasting activities. Therefore I always, avoid nurturing relationships and habits that won’t nurture in return. What I do is I never put my problems, mess ups or struggles onto any of my team members. I always do believe that the best entrepreneurs are resilient leaders, not victims of their own circumstance. Tell me us a little bit about your venture. It is a true fact that a building a home or an office space can be stressful for the customer. We at “Wicky Terrazo” make every effort to ease your anxieties and concerns while construction is under way. Let us build your dream home we will go that extra mile to give you the best service in building your dream home by using Terrazzo. Our skillful expertise will provide you with the best service in town. Could you tell us, briefly, a little about your company’s history? We started this venture 35 years ago and my father is the pioneer of this venture. My father always believed in the quality of work. Therefore we always strive to understand the needs of our clients and implement the most cost effective solutions. 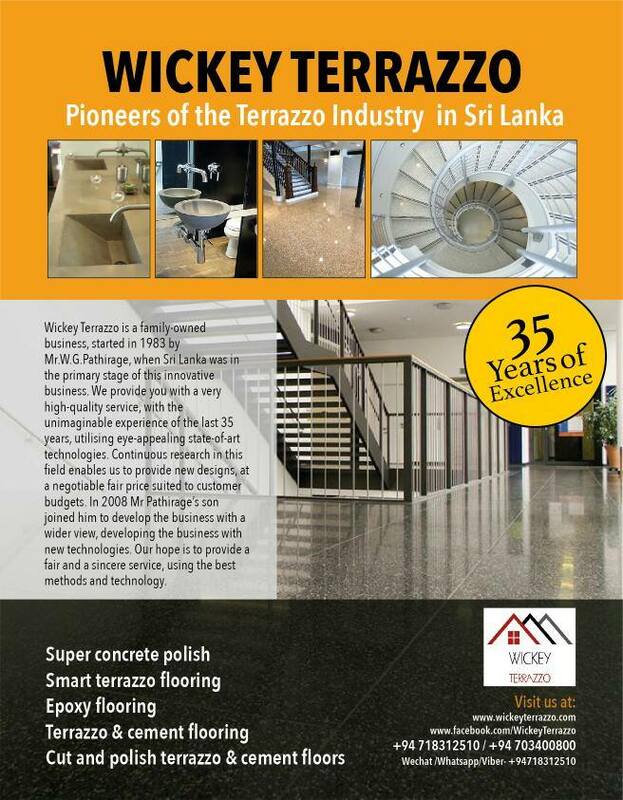 We at Wicky Terrazzo seek to build quality homes and businesses while providing attentive customer service. You should not worry finding the right man power to get your residence constructed is like getting feathers from a tortoise? We will help you out giving you the best solutions when it comes to Terrazzo flooring. Subpar excellence work will desecrate your time as well as money in the long run. This is why you need to be cautious of whom you are hiring when you decide to pick the right place in town. Normally terrazzo is finished by incorporating small pieces of material into a setting complex, most of the customers get to choose to customize their surface according to their choices and preferences. The milieu color of the flooring is also changeable; some get to choose a simple white- or ivory-colored setting, while others decide on for dark gray, thus it purely depends on their preferences. We want to excel in the field as the best Terrazzo manufactures in South Asia. Depending on our extensive knowledge and ability in this ground, we are renowned as one of the most prominent manufacturers of Terrazzo Flooring. The individuality of this type of its strips is our capability to generate infinite designs, colors and patterns and are tremendously long-lasting. Wicky Terrazzo Flooring mingles the power of epoxy and attractiveness of marble to carry the sophistication to the arrangement which is matchless by any other floor. The utilization of stainless steel or brass strips emphasize the gorgeousness of Wicky Terrazzo Flooring. What did you motivate to win the life at a young age?